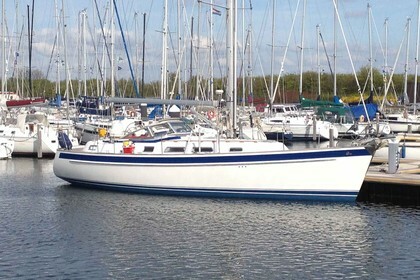 Hina is from first owner, privately sailed and owned and extensively equipped for cruising. Fitted with Raymarine instruments from 2016 including repeaters and 2 x Raymarine plotter/radar with AIS. Conventional rigging with 2010 Elvstrom sails including fully battened mainsail and spinnaker. Hina is in well maintained condition throughout.